Recent weeks have seen a positive shift in the conversation on immigration reform, with prominent voices in both parties pushing for a pathway to citizenship for the 11 million undocumented immigrants living in the United States. But although Latinos and Asian Americans figure prominently in the conversation, black immigrants—who comprise 8 percent of the U.S. foreign-born population—are most often left out. As we prepare for 2013, here are some key facts about this often-overlooked group. 1. Black immigrants are a significant group in the United States—more than 3 million people comprising 8 percent of the U.S. foreign-born population. More than half come from the Caribbean, with the rest mostly coming from Northern and sub-Saharan Africa. A small number also come from Europe and Canada. Black immigrants account for more than one-quarter of the black population in New York, Boston, and Miami. 2. Black immigrants arrive in the United States through multiple pathways. Most black immigrants—especially those from the Caribbean—arrive as legal permanent residents based on their family ties. Refugees from Ethiopia, Somalia, Liberia, Sudan, and Eritrea accounted for 30 percent of all black African immigrants in 2009, while around one-fifth of black African immigrants entered the United States through the diversity visa lottery program—which provides 55,000 visas each year to countries underrepresented in immigrant streams to the United States. Around 400,000 black immigrants in the United States are here without legal status. 3. Black immigrants are one of the most-educated immigrant groups. Black immigrants have more college education and higher rates of degree attainment than any other immigrant group in the United States. 4. Black immigrants face many challenges in the United States. Even with high levels of education, black immigrants tend to earn low wages compared to other similarly trained immigrant or native workers. In 2011 black immigrants had the highest unemployment rate—12.5 percent—of any foreign-born group in the United States. Proposed immigration reforms such as reductions in family-based admissions and elimination of the diversity visa lottery could affect the flow of black immigrants to the United States, cutting off all legal means of entry into the country. 5. Despite the challenges they face, black immigrants are stepping up in support of immigration reform. Despite the risk of deportation by coming out as undocumented, several young black immigrants—such as Tolu Olubunmi, who was born in Nigeria and came to the United States at age 14—are fighting for passage of the DREAM Act. 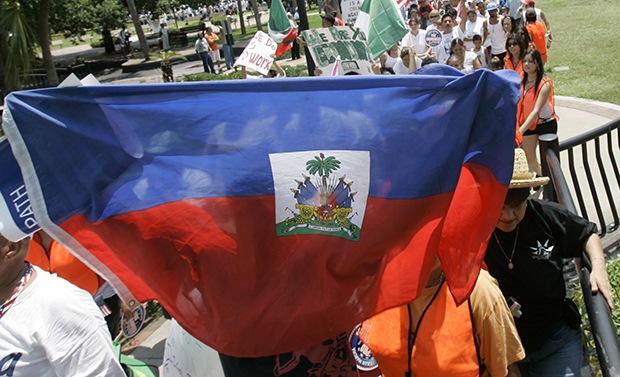 Haitian Americans in Miami also came out in large numbers last year to protest U.S. immigration policies that favor groups such as Cuban migrants—allowing, for example, any Cuban who makes it onto American soil to stay—but discriminate against Haitians seeking asylum in the United States. Like all immigrants in the United States, black immigrants come to this country to chase their dreams and to provide their families with a better life. Despite facing linguistic barriers, stereotypes, and misconceptions, black immigrants have developed social networks and small-scale entrepreneurship that have helped them successfully integrate into the United States. While their voices have been absent from much of the immigration debate, black immigrants know how important their voices are—as the example of young black DREAMers illustrates—and they are beginning to use those voices in support of immigration reform. Helina Faris was an intern with the Immigration team at the Center for American Progress.